The collection, interpretation and display of art from the People's Republic of China, and particularly the art of the Cultural Revolution, have been problematic for museums. These objects challenge our perception of 'Chineseness' and their style, content and the means of their production question accepted notions of how we perceive art. This book links art history, museology and visual culture studies to examine how museums have attempted to reveal, discuss and resolve some of these issues. Amy Jane Barnes addresses a series of related issues associated with collection and display: how museums deal with difficult and controversial subjects; the role they play in mediating between the object and the audience; the role of the Other in the creation of Self and national identities; the nature, role and function of art in society; the museum as image-maker; the impact of communism (and Maoism) on the cultural history of the twentieth-century; and the appropriation of communist visual iconography. 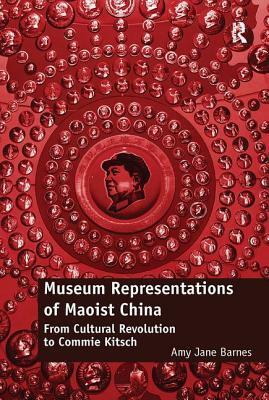 This book will be of interest to researchers and students of museology, visual and cultural studies as well as scholars of Chinese and revolutionary art. Amy Jane Barnes is a Research Associate in the School of Management at the University of Leicester, UK and Honorary Visiting Fellow in the School of Museum Studies at the University of Leicester, UK.